ConvaTec Adjustable Appliance Belt is a sturdy, secure ostomy belt for stabilizing an ostomy pouch. Adjustable up to 42 inches, this ostomy belt is specifically designed to attach to any Natura Ostomy Pouch or ConSecura Lockring Pouches. If you're looking for a secure, safe and ultimately fail proof ostomy appliance belt for your ostomy pouch, then look no farther than this adjustable belt. ConvaTec Adjustable Appliance Belt is soft, comfortable and discreet when worn beneath clothing. The added security that this appliance belt provides ensures that you can continue on with your daily activities sans worries, discomfort or sliding/slipping. You may also be interested in similar ostomy belt products, such as Brava Ostomy Belt. Provides an added sense of security and stabilization for ostomy kit and pouch, allowing users to confidently perform daily activities. 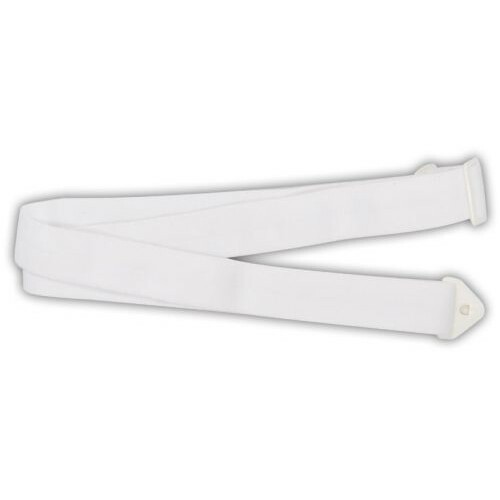 Adjustable up to 42 inches, making it an ideal appliance belt for any person desiring added stabilization and support. Specifically designed to attach to any Natura Ostomy Pouch or ConSecura Lockring Pouches. Neutral white color stays hidden and discreet beneath clothing. Attaches to Natura and ConSecura Lockring pouches. The belt can easily slide off the appliance. What a great list, and thanks for the link! I rlelay needed a smile today. Here's a few more:When you cringe at the sight of a detour sign because you now have only seconds to explain the situation to your child and avoid a meltdown because you are taking a different route.When you know what joint compressions and deep pressure are, and how to do them.When you are amazed to the point of tears by the complexity of social interaction engaged in by a typical six month old.